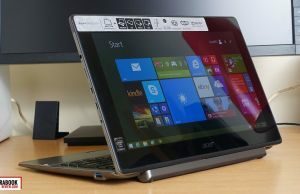 Summary: The Acer Aspire Switch 11 V is the most affordable Core M hybrid of the moment, with an announced MSRP of roughly $500. 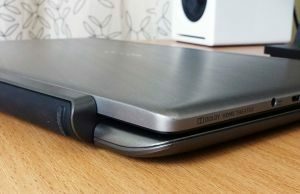 The device itself checks most of the right boxes, although some corners were cut here and there, and is a good option for those of you looking after a fanless 2-in-1 with a bit more oomph under the hood. The excellent price comes as a bonus. 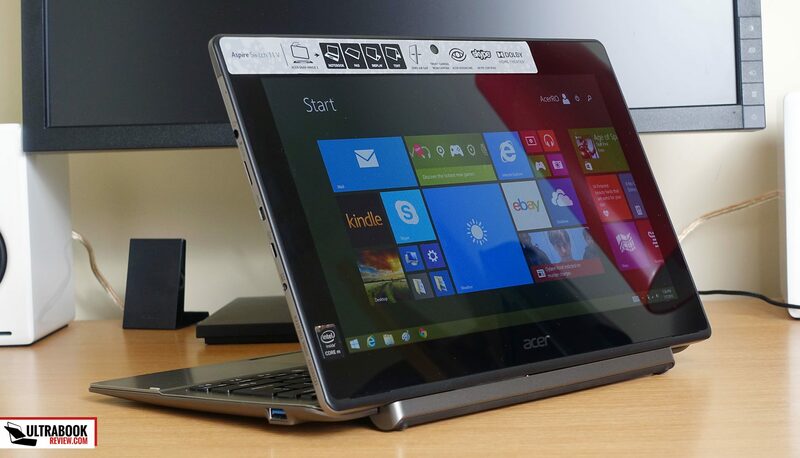 Acer are no strangers to hybrid laptops, as their Aspire Switch and Aspire R lines have been around for a while now. The 2015 Switch lineup includes several different models with screen sizes between 10 to 12.5 inches, as I’ve showed you in a previous article. 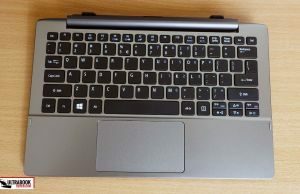 Among them, the Aspire Switch 11 V SW5-173 sits somewhere in the middle of the range as a detachable with an 11.6-inch display, Core M hardware, metallic body, keyboard dock, and a starting price of around $500. This latter aspect is the 11 V’s main selling point, because while there are quite a few other 2-in-1s built on Core M platforms out there, none are selling for under $500 right now. 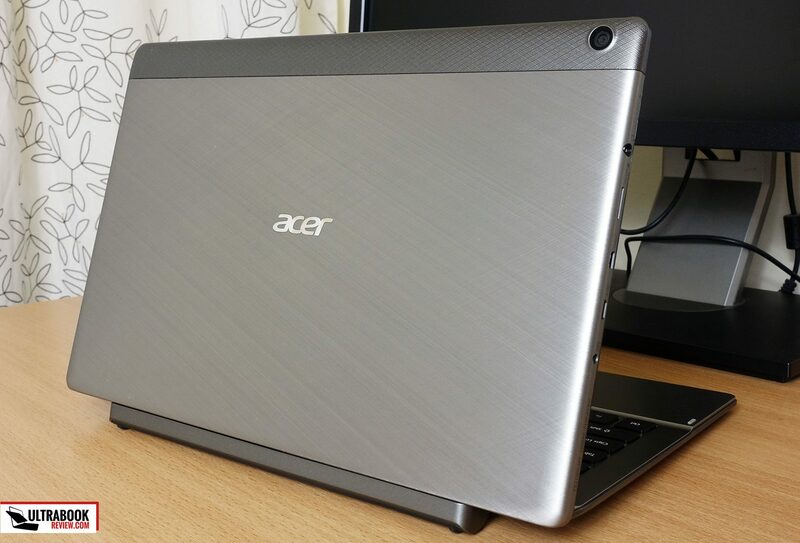 Five hundred dollars could easily buy you a slower Celeron/Pentium device, but if you’re looking for slightly faster performance in a fanless machine, this Acer could be the one for you. 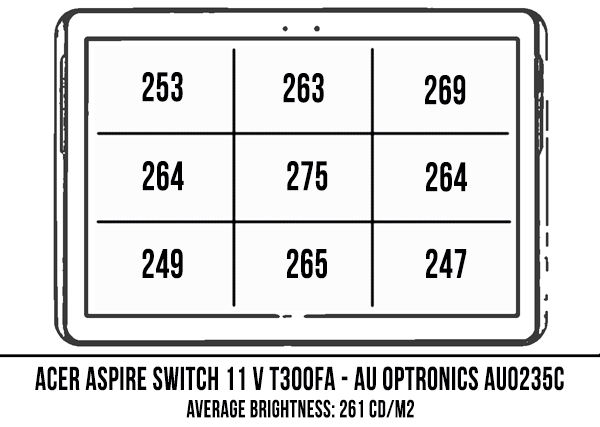 Disclaimer: The Aspire Switch 11 V is not yet available in stores at the time of this article (early July 2015) and is scheduled for an August release, in time for the Back-to-School sales. I did get to spend around 10 days with a pre-production model and I’ll share my findings with you further down. This is more of a preview and not a review as certain aspects, like benchmarks and battery life, will be updated once I get to test a final retail version later this year. Besides this, keep in mind the $500 price-tag mentioned in this post is not exactly set in stone. It was communicated as a target MSRP for the Switch 11 V at its launch event in April, but might change down the line. 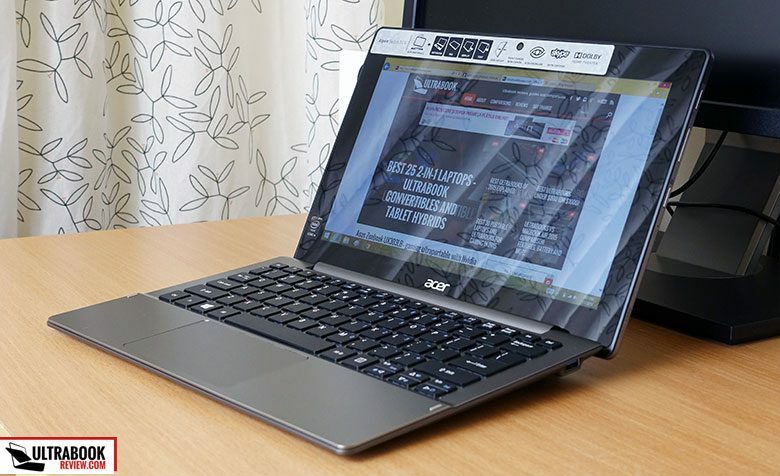 I for one do believe Acer can deliver on it, though — or at least come very close. We’ll see. The Switch 11 V will be available in a couple of different configurations in stores, with either an HD (1376 x 768 px, as this unit has) or an FHD (1920 x 1080 px) display, a 60 or a 128 GB SSD, and an optional HDD inside the dock. What we have here is the base model that will sell for around $500, with the HD touchscreen, 4 GB of RAM, 60 GB of storage and no extra HDD in the dock. Higher-specced versions will cost more, but we’ll talk more about that in the “Price and availability” section. 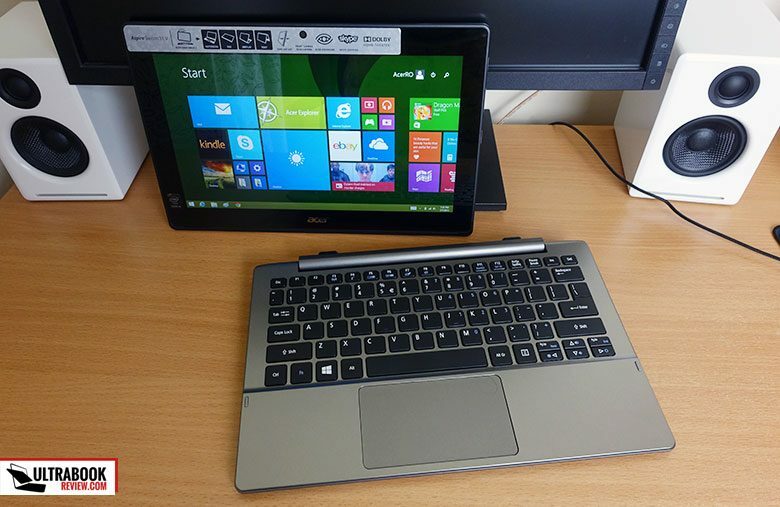 As the name suggests, the Switch 11 V is a Windows Tablet with an 11.6-inch screen and a detachable keyboard dock. The tablet is a bit thick and large by today’s standards, so if you plan to use it primarily as a hand-held device the weight could become a nuisance. As a living-room tablet resting on your legs, it will do just fine. Even so, I believe the Switch 11 V is best when docked with the keyboard and used as a laptop or in Stand/Presentation mode. We’ll talk more about the dock and the latching mechanism in the Dock section below. For now, let’s turn our attention to the actual slate. 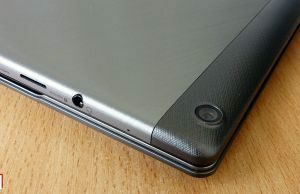 A sheet of brushed metal stretches over most of its back (with only a narrow strip of plastic covering the Wireless antennas) while the front-face is covered by a layer of protective glass. 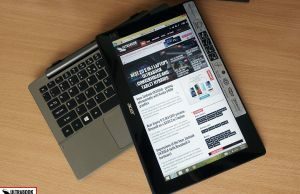 The device is properly crafted overall, but it’s still not as solid as some of the premium tablets with unibody cases available out there, like the iPads or Asus Transformer Book Chis. Still, it does fit well in the hand and feels comfortable to use and hold, thanks to the fairly grippy case and nicely rounded edges. Speaking of edges, the IO is lined around them. 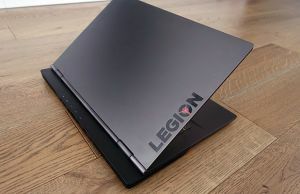 You’ll find the PSU and all the connectors (micro-USB, micro-HDMI, headphone/mic jack and microSD card-reader) on the left side, while on the right there are the power and Windows buttons, as well as a volume rocker. 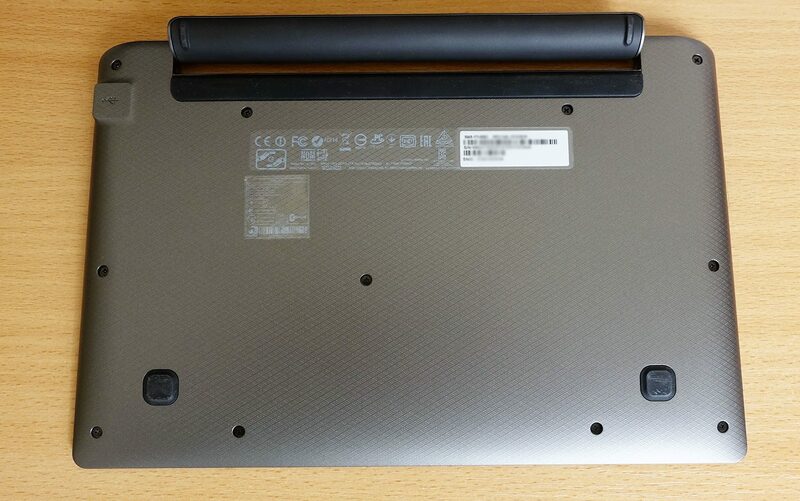 You’ll also spot a connector on the bottom edge for the tablet to snap onto the dock, flanked by two holes. The Switch 11 V is bundled with a detachable dock, made entirely out of plastic. 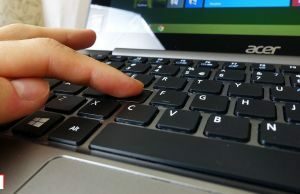 The palm-rest and the area around the keyboard are smooth while the belly gets a textured finish. The entire thing is pretty sturdily built. 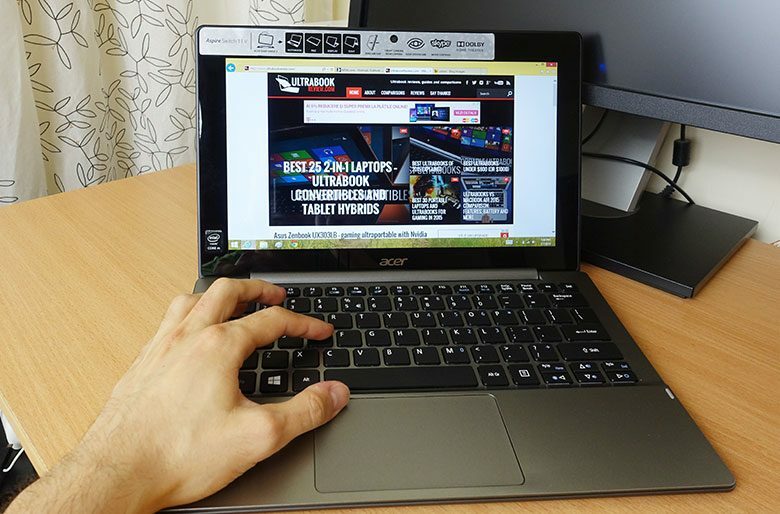 It barely flexes when typing and it sits well on a desk thanks to its large rubber feet. The tablet and the dock snap together through a magnetic latching mechanism with a smartly designed connector in the middle. This system makes the process of snapping the two on and off simple, eliminating unnecessary buttons and components. 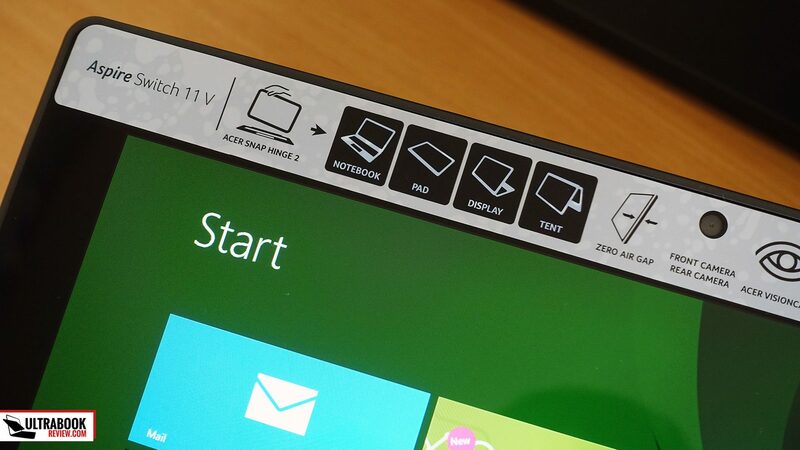 On previous generation 2-in-1s you had to press a button in order to detach the two parts, while pairing required you to perfectly align them by hand. 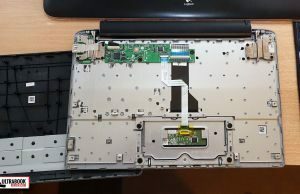 A set of strong magnets takes care of both these issues on the 2015 Switch 11 V and the end user’s experience is greatly improved. 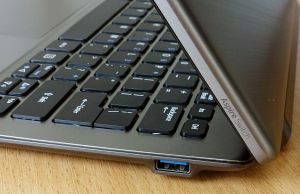 The latch allows the slate to connect to the keyboard both in a laptop mode (with the screen facing the user) or in a tablet/presentation mode (with the screen facing away). 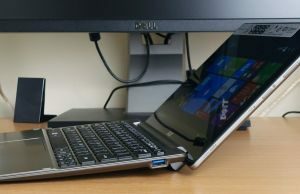 And since there’s a physical connection between the two parts, the dock is not just a Bluetooth keyboard like with other devices I’ve tested lately: it also includes a full-size USB slot and a bay for an optional HDD inside. Speaking of that, our model comes without a HDD. 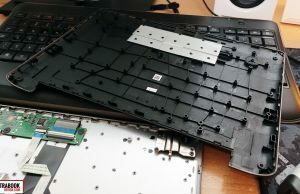 I took it apart in order to see whether I could mount one myself, but the internals lack both the connectors and the space for a storage unit, as you can see from the pictures below. Now, take this with a grain of salt, since we’re dealing with a pre-production sample, but from what I can tell right now Acer will probably sell two different docks, one for the versions without a HDD and another for the configurations with a HDD pre-equipped. That means you won’t be able to put your own storage drive on the models that don’t come with HDD out-of-the-factory. 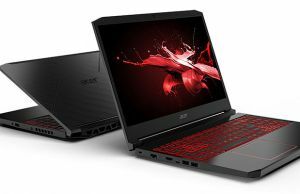 You could however get the model with an HDD (Acer plan to offer the Switch with 500 GB HDDs for around $50-$70 more than the models without) and then replace it with an SSD in order to keep the Switch quiet. Otherwise, the spinning hard-drive would hinder the overall experience with its vibrations and noise. These points aside, you should know the Switch 11 V is only top-heavy if you tilt the screen all the way back (and the angle it opens to is generous). 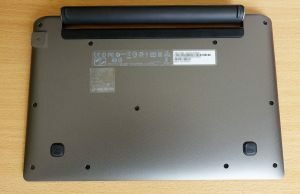 However, with normal desk use in laptop mode, it will not tip back easily as it’s better balanced than the previous Switch 11 2014 or the Switch 10 E tested a while ago. On top of that, keep in mind that the models with an HDD in the dock will be even more stable, since they’ll bundle a heavier base. Typing on the Switch 11 V for the last week left me with mixed feelings. On one hand, the keys are properly sized/spaced and travel further into the frame than keys on most ultraportables available today. 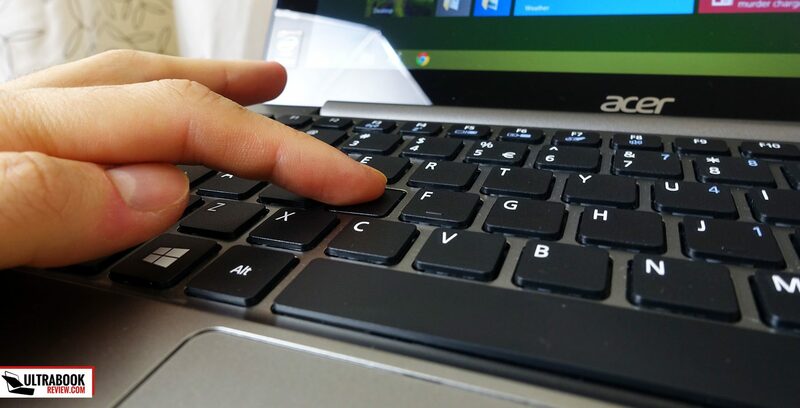 These characteristics lead to fast and accurate typing‒ once you get used to the somewhat mushy and wobbly keys. 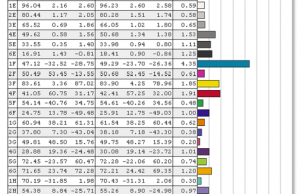 It took me about an hour before I could reach my normal average typing speed (around 75 wpm) with few errors. On the other hand, the typing experience on this thing is annoyingly noisy. The actual key noise is not the issue here, but because the dock is actually a hollow plastic chamber which resonates when hitting the keys, this translates into a constant rumbling that you’ll have to get used to. The keyboard is also not backlit, but that’s not a surprise in this price range. 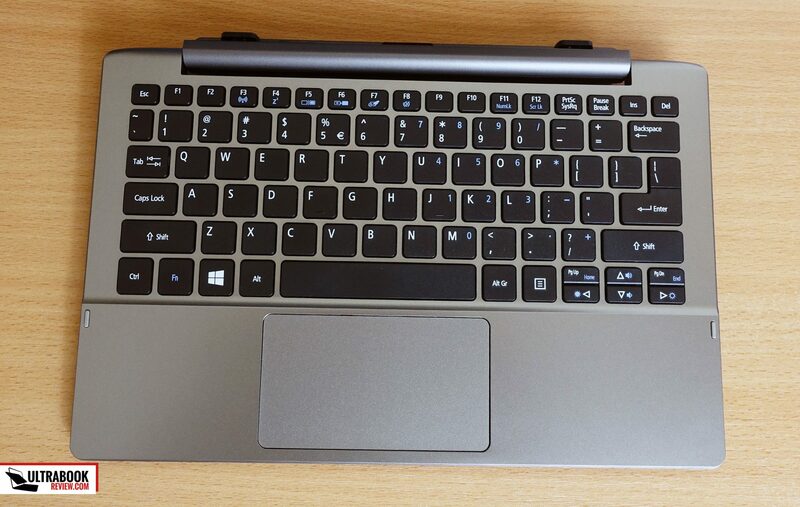 Overall, if you don’t need a perfectly quiet keyboard and don’t type for a living, the Aspire Switch 11 V will do fine for daily use and occasional office work. Just don’t expect too much out of it. 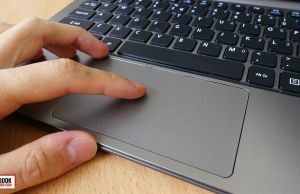 As for the trackpad that sits just beneath the keys, well, it’s fairly large and made of plastic, but also smooth and accurate. 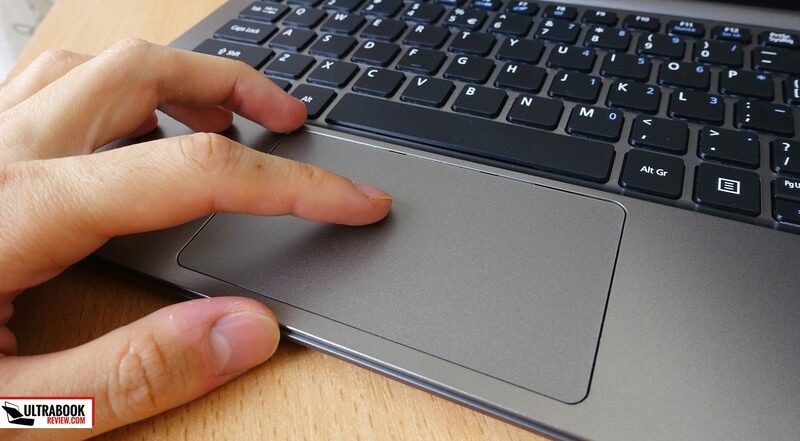 It’s supposedly a Microsoft Precision Trackpad, which means it’s going to be difficult to customize in any way, but it handled taps and clicks well, worked while keeping one finger on its surface and swiping with the other, and I can’t complain about palm rejection either. So overall I didn’t feel the need to tweak it in any way. 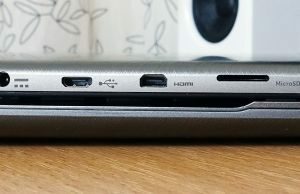 However, just like typing, tapping and even just swiping the trackpad causes the plastic dock to resonate and produce a hollow noise, an aspect I couldn’t get used to in the few days I used this Switch. There’s an 11.6-inch touchscreen on the Switch 11 V with a IPS panel. It’s not the best panel out there, but it’s good enough for daily use. 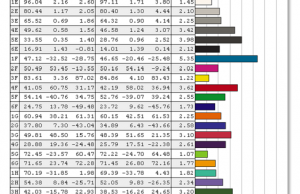 You may want to calibrate it, because I found the colors and the White Point were skewed out of the box. 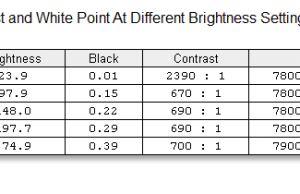 After calibration, I found overall panel quality was decent with good contrast and brightness for a device in the $500 price range. 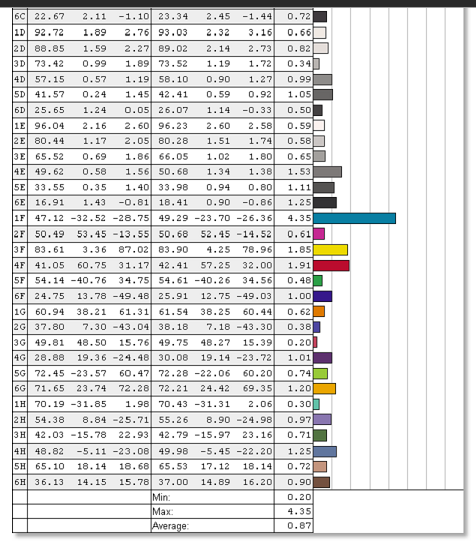 Average DeltaE: 2.51 uncalibrated, 0.87 calibrated. The screen offers no digitizer, so if you need a device for inking and taking notes, you’ll have to look elsewhere. I do have to add a few words about a technology Acer calls “Zero Air Gap”. They narrowed the space between the actual panel and the glass layer on top in order to reduce reflections, and this works to some extent, but you’ll still have to deal with glare in bright environments. There’s still no escape from that with a glossy screen. However, having the outer surface so close to the display does mean you’ll occasionally poke at the panel itself if you’ll press harder on the glass. This translates into screen ripples, or in other words, a fragile screen ensemble. Now, I doubt this would have any long-term effect if you use the device responsibly, but I for one wouldn’t get this Switch for a kid or someone who’s not going to take proper care of it. The Switch 11 V is built on Core M hardware and our configuration includes the Core M 5Y10C processor, 4 GB of RAM and a 60 GB SSD. 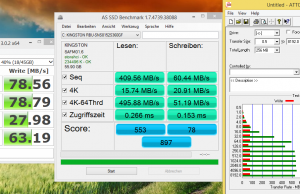 The storage solution (Kingston RBU-SNS8152S360GF) is decently fast, clearly faster than the eMMCs found on most of the affordable hybrids out there. 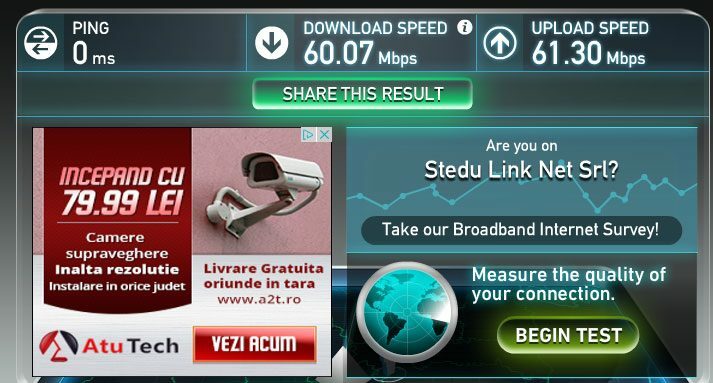 However, while read speeds are great (around 400 MB/s), write speeds were not impressive (under 100 MB/s). As a result, installing programs or Windows updates (and there are quite a few of those with a fresh Windows 8.1 install these days) will take a long time. Hours. 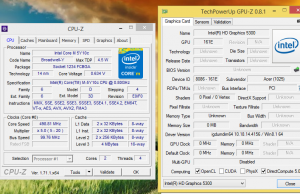 Once you’ll be done with the initial setup, this aspect shouldn’t bother you that much, but it’s something worth knowing if you plan to be constantly installing things on this computer. The memory is not upgradeable and while I haven’t pried open this sample, I believe the SSD is soldered as well. 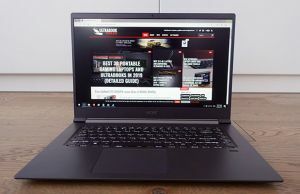 Versions with a larger SSD are definitely going to be available, but I’m not sure whether Acer will have any configurations with 8 GB of RAM or not. 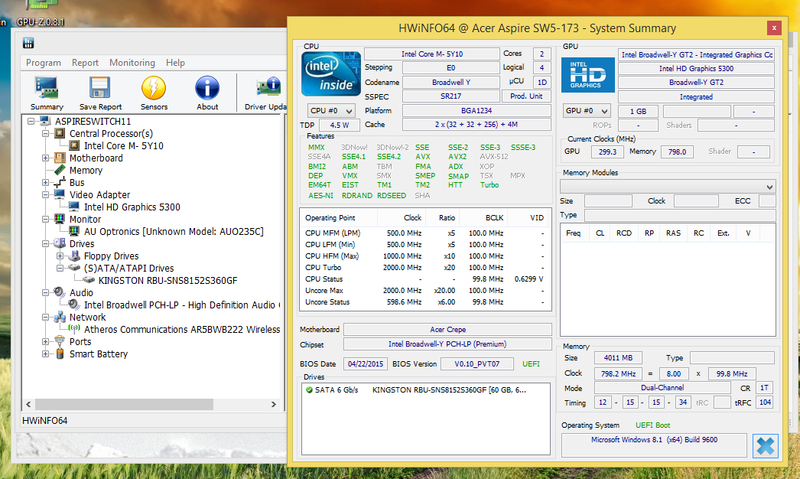 Performance isn’t stellar on this machine, like on all the other devices powered by the low-end Core M 5Y10C hardware. But as long as you know what to expect from it, it will deliver. 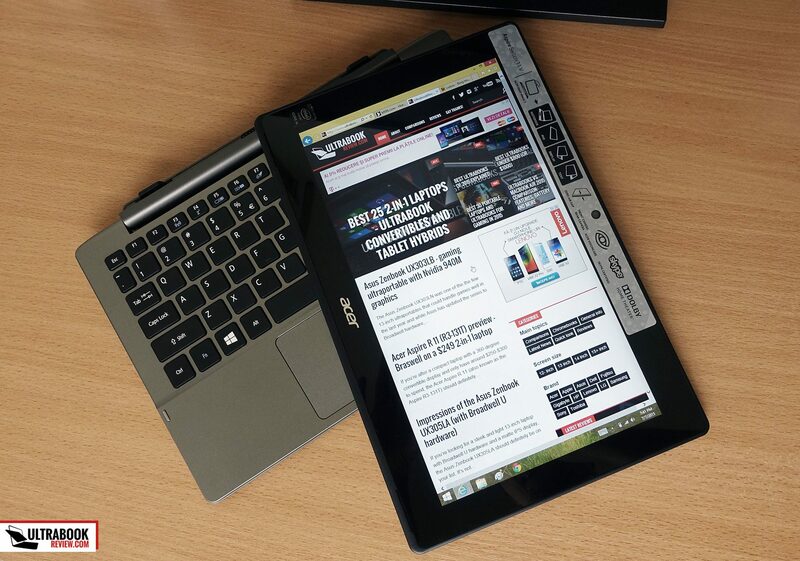 Browsing with several tabs open at the same time, watching up to 1080p video content, listening to music, working on emails and documents, the Aspire Switch 11 V will handle all these easily with only occasional sluggishness if you’ll push multitasking too much. But don’t expect to run multiple things at once flawlessly, edit videos, run the latest games, or perform other demanding tasks on such a machine. 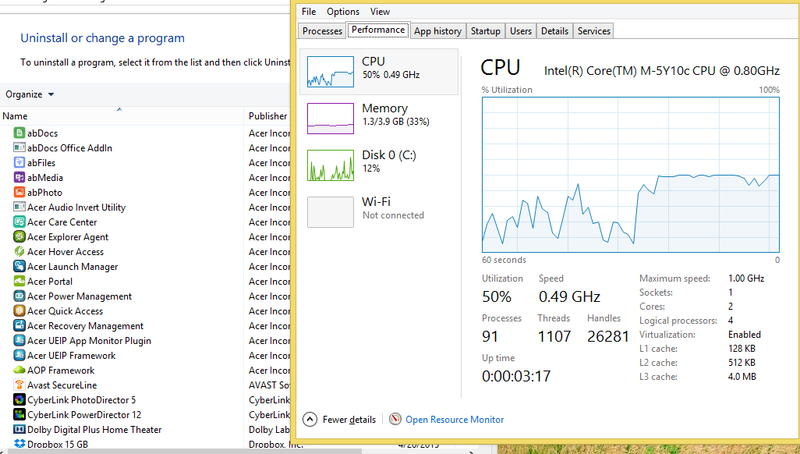 One thing you can do in order to improve performance is get rid of most of the programs pre-installed out of the box. 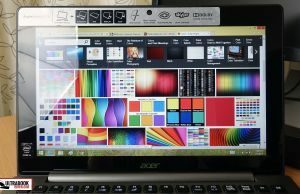 There are about a dozen of Acer apps, plus programs and trials like Spotify, Office, McAfee, Dropbox, Cyberlink Powerdirector, etc. It will take about an hour to get rid of all of these, but it’s well worth it! As a side note, the Switch 11 V comes with a 64bit version of Windows 8.1 and does not include any sort of free Office package, like the smaller 10-inch hybrids do these days. Anyway, I’m not going to include benchmark results for this pre-production unit and I’m not going to get more in depth on performance, but I will update this section once I get to review a final retail model. The Core M hardware inside the Switch 11 V is fanless and as a result the device runs completely silent. If you opt for the versions with a HDD inside the dock, you’ll have to live with the vibrations and noise produced by the spinning drive, but otherwise this machine will be noiseless. The passive cooling does translate in somewhat high case temperatures though, especially if you’ll put the device to work. I haven’t performed any load tests on this sample (which consists of gaming for 30+ minutes), but I did perform my multimedia test, which means looping a 1080p Youtube clip for more than 30 minutes and measuring the outer-case temperatures afterwards. Here’s what you can expect. 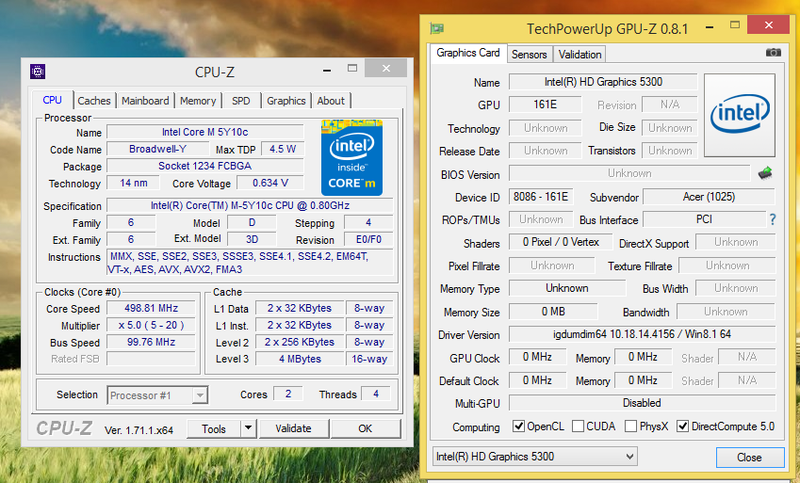 In laptop mode, temperatures are not going to be an issue on this machine. Since the hardware is tucked behind the screen, the keyboard-dock remains cool. Tablet mode use is a different story. 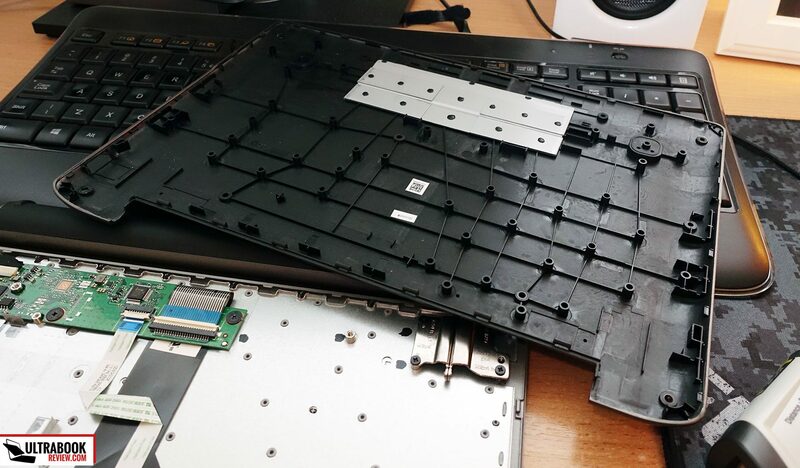 The Switch 11 V doesn’t get hotter than the other Core M machines out there, but keeping your hands on a 35 to 40 degrees Celsius piece of metal for a long time can be unpleasant for some of you, especially in hot and humid environments. Also, keep in mind that it you plan to run any games (older PC titles or games from the Windows Store), the case temperatures will jump higher. 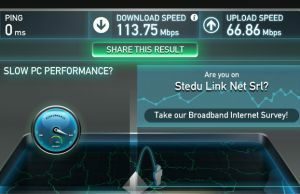 For wireless, Acer went with an Atheros AR5BWB2222 solution here, and it proved to be one of the fastest I’ve ever tested with my setup. 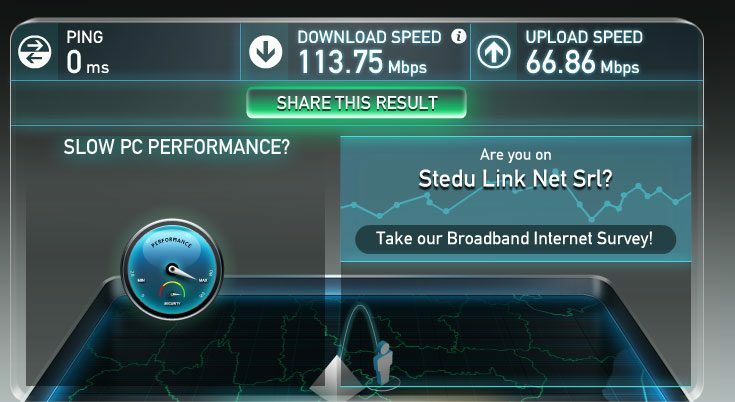 Even at 30 feet from my router with 2 walls in between I was able to get constant download speeds of around 60 Mbps and full signal strength, so you shouldn’t encounter any problems with this device even if you have a dodgier Internet connection in your house/office. 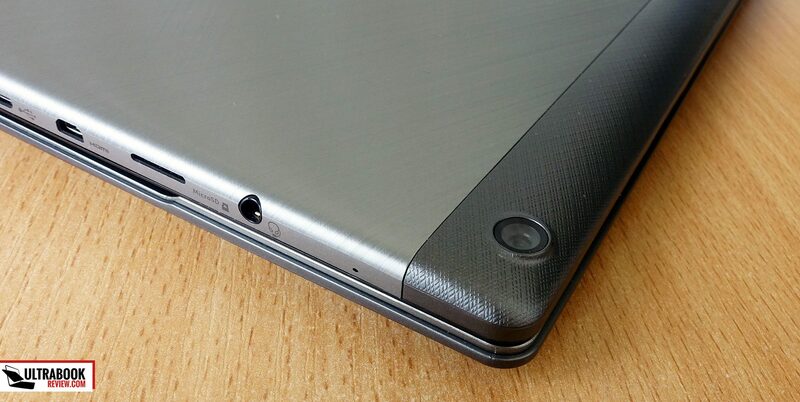 Moving on, there’s a set of front-facing speakers on the Switch 11 V, placed under the screen on the front face. 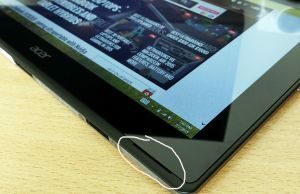 They fire outwards, something I highly appreciate, but the actual speaker cuts are very narrow and you might muffle them with you hands when using the tablet in Landscape mode due to their positioning. It’s not something I’d worry too much about, though. As for what matters most here, the sound coming of these speakers is loud, but it’s tiny and lacks bass, so it won’t get any praises for me. It will do for occasional movies and music, but don’t expect too much. Last but not least we should talk about the two cameras on the 11 V. There’s a 5 MPx rear shooter, without Flash, and a 1.2 MPx webcam on the front. Both are on the mediocre side, but will take usable pics and videos when needed as long as there’s sufficient lighting. 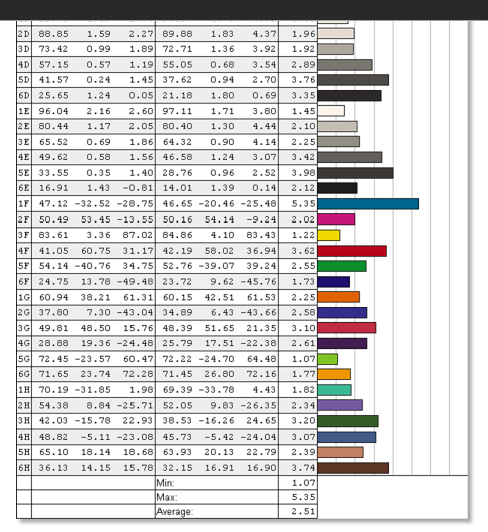 I can’t provide accurate battery info based on this pre-production sample analyzed here, but according to HWInfo it came with a 30 Wh battery. However, this should be taken with a grain of salt since initial reports actually mentioned a larger battery. Update: The final retail versions ship with a 34 Wh battery. 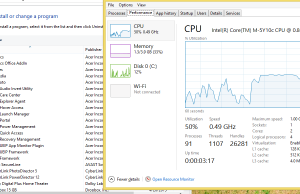 I was able to get roughly 5 hours of daily use from it, which is pretty much what I was expecting based on my previous experience with other Core M Windows tablets. I will update this section once I get to test a final production unit. The slate is bundled with a standard rectangular-shaped 45W power brick and a 10% to 100% charge takes about 2 hours. The Aspire Switch 11 V will be available around the world in August 2015. From what was communicated at the 11 V’s launch event, the base model, similar to the one tested here, will sell for around $500 in the US and around 500 EUR over here across the pond. Prices might change slightly before launch though. 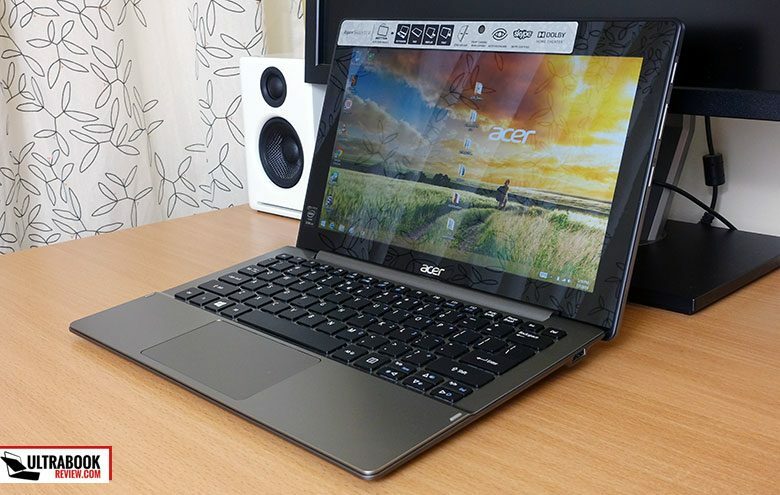 Acer will offer a few other configurations besides the base version. 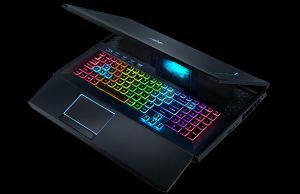 The most interesting one will include a FHD display and a 128 GB SSD (not sure whether it will have 4 or 8 GB of RAM), for about $600. Versions with a 500 GB HDD int he dock will be available as well and will sell for roughly $50-$70 on top of the similar configurations without a HDD. 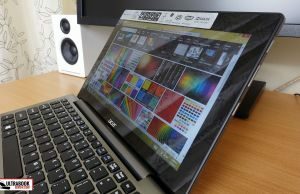 At the end of the day, I believe the Acer Aspire Swtich 11 V is not just one of the many 2-in-1 hybrids out there, but one that’s worth more than a single look. This is not the sleekest or the most beautiful hybrid in its class and it doesn’t pack the most or the best features, but it checks all the important boxes and has no deal-breaking flaws. On top of all these, it is going to be, at launch, the most affordable Core M 2-in-1 you will find in stores, with an announced MSRP of around $500. So the question here is whether a Core M machine is right for you or not, and it’s not an easy one. Like I said above and in my many other reviews of the platform, the hardware is going to be good enough for daily chores and does provide a fanless experience. But on the other hand, a Core M machine won’t be as capable as a Core U ultraportable and won’t be able to handle heavy multitasking or complex tasks. Regardless, if you have a limited budget for a hybrid, there’s nothing else of the exact same sort you could buy for $500 at the time of this post. 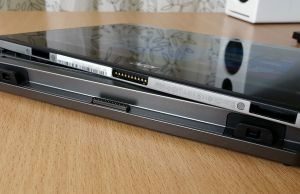 The Asus Transformer Book T200TA could be an alternative (if you can still find the version with 4 GB of RAM and 64 GB of storage in stock) for those who value battery life more than performance. 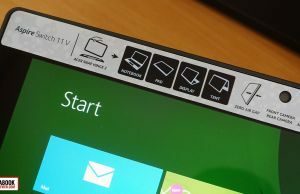 The Microsoft Surface 3 could be another, a smaller device built on a Atom CloverTrail platform, with a high-resolution display and pen support. But $500 will only get you a 2 GB of RAM config and you’ll still have to pay around $100 more for the keyboard folio. 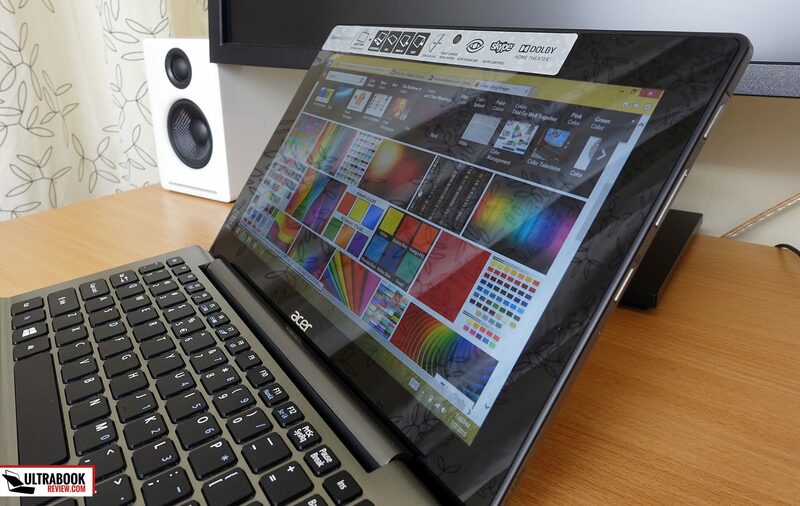 And last but not least there’s the Asus Transformer Book T300FA to consider, especially if you aim for a configuration with a HDD included in the dock and can spend a little over $600. 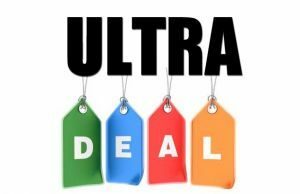 Of course, if you’re willing to spend even more, you’ll have other (different, not necessarily better) options, like or the Asus Transformer Book T300 CHI, the Lenovo Yoga 3 11, the Dell Venue 11 Pro 7140 or some of the other Core M hybrids out there. Still, there’s only so much I would spend on a Core M machine and at $500 to $600, this Switch hits a sweeter-spot than pretty much all its direct competitors. So at the end of the day, if you’re on a tight budget and you’re fine with what this Switch 11 V offers, what it can and cannot do, give it a try. I think you’ll like it. I for one did. Anyway, this wraps it up for now. 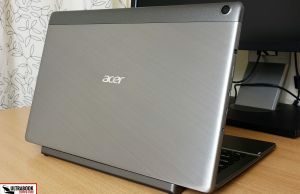 Let me know what you think about the Acer Aspire Swtich 11 V in the comments section below, and if you have any questions or anything to add the the post, feel free to contribute, I’m around to reply and help out if possible. The 11V should be nice, when it pops out. 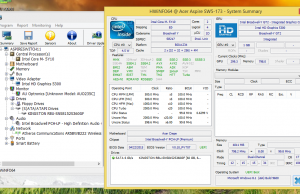 Another similar option would be the Asus Transformer Pad Chi T300. 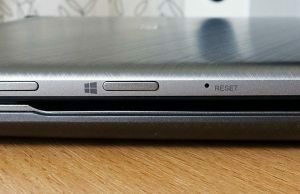 There’s also the Microsoft Surface, which is mostly a tablet with a keyboard folio, but it’s also somewhat slower than the other two devices mentioned above. Which Transformer? The T300 Chi? It doesn’t really matter which one .. as far as the Wifi hardware is concerned, they will all pobably have the same controller. 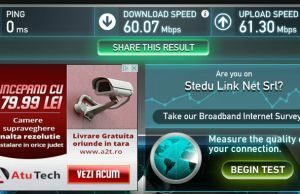 There is not a version with 16/10 (1920/1200) screen planned? 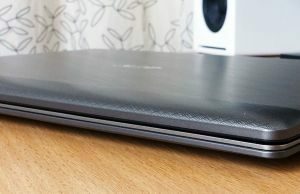 How come there are no reviews out there for the Acer Switch 11 V? Neither on this site (if we consider the above as a preview) nor on others? 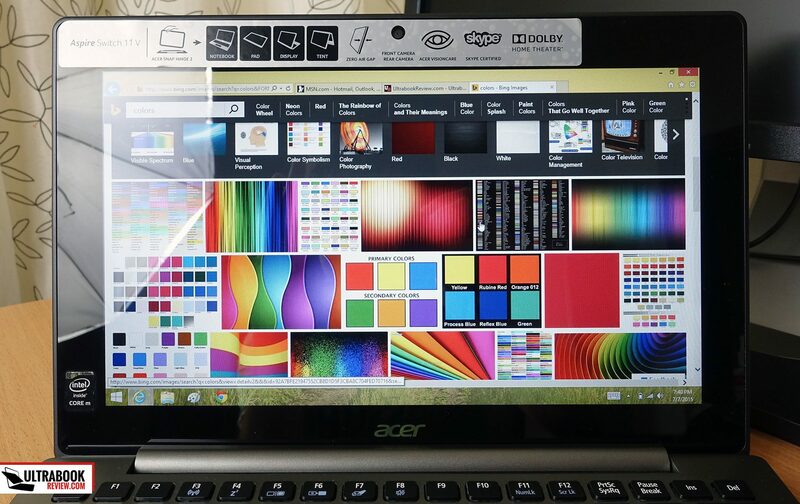 Well I DID buy the Acer Switch 11 .. and my granddaughter at highschool is VERY happy with it .. FAR better than the ASUS pile of junk we took back.